Here's a breakdown of some of the most significant changes being made to regulations around ride-hailing services and the taxi industry in Toronto. 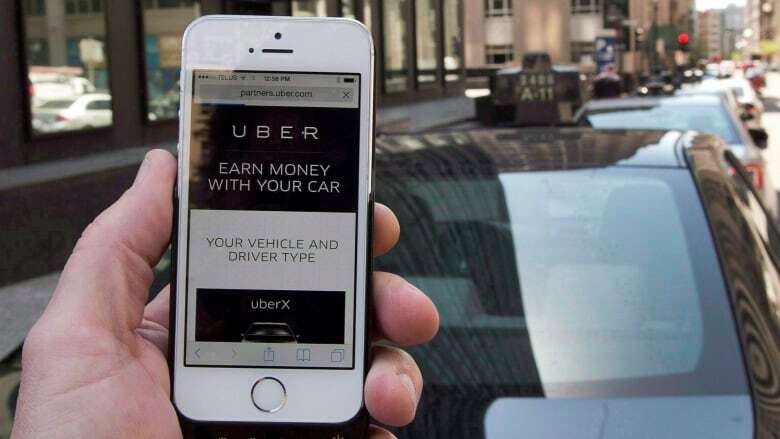 After hours of debate on Tuesday, city councillors voted 27-15 in favour of new rules for taxis and ride-hailing services such as UberX, which allows regular drivers to pick up passengers without a taxi licence. The debate over new regulations that will govern the city's taxi industry lasted much of the day and was extended past the 8 p.m. deadline after Mayor John Tory tabled more than 100 amendments to the staff recommendations. Here's a look at some of the key recommendations and how they might affect consumers and ride-for-hire industries. The city will create a new class of licence — called a "private transportation company" licence — that Uber and other ride-hailing firms would have to apply for. The new licence appears to be constructed around phone apps, which are currently used to hail Uber and other new services, and increasingly used to hail taxis. The new regulations would also scrap 2014 reforms to make all cabs fully accessible by 2024. The new rules also roll back 2014 reforms on the two types of taxis currently in operation, Standard and Ambassador. Standard, which can be leased or sold, are preferred for drivers and companies to Ambassador licences, which are required to have higher standards and accessibility and must be strictly owner-operated. The 2014 reforms would have phased out ownership of Standard plates as a commodity. As of 2014, more than a quarter of all taxis were Ambassador licenses, at 1,313 out of 4,849. For now, the Standard licenses will stay. Uber claims city council has voted to "embrace ride sharing," but the regulations are differentiated mainly in the way taxis are hailed. For instance, the city will allow Uber and other Uber-like companies like Lyft to operate in Toronto, but as long as rides are booked only through a smartphone app. Many of these regulations follow those instituted in Edmonton, which was the first Canadian city to allow for Uber and companies like it. Taxi rides that are hailed on the street, at a cab stand or ordered over the phone still face regulated rates set by the city. Uber cars are not allowed to be hailed on the street. But apps on phones are only the current method of hailing an Uber or like vehicle. As the technology evolves, more grey areas may emerge. Council voted that Uber and other ride-hailing companies should have insurance of at least $2 million on all drivers for bodily injury, death and damage to people or property. That's the same insurance burden as taxi companies face today. "We believe insurance is an important component of ridesharing regulations, and support the inclusion of this provision in the Toronto bylaw," said a spokeswoman for Uber Canada. The city will eliminate its requirements for drivers to take training programs in order to get a licence — and taxi and limousine drivers will no longer have to take CPR and first-aid training. In all, the regulations will make riding a taxi or private transportation more expensive for consumers. Uber must add $0.30 per trip to each fare as a "city fee," to be remitted to the city. Taxis can now charge more during their peak hours as a result of the new regulations. Uber and other private transportation companies must maintain a $3.25 minimum fare but can allow for "surge pricing" when the service is busy. Taxis can also use "surge pricing," but, again, only for rides booked via an app. While the current base fare is $2.50 the minimum fare for UberX is actually $5.00. New Uber rules: Did Toronto city council strike the right balance? The changes won't mean a lot for drivers, said Coun. Gord Perks, but it will increase bottom lines for owners of the taxi and ride-hailing companies. "Who doesn't win in the taxi industry? The people who do the work," he said at the debate in council this week. "There's a more level playing field between the millionaires and the billionaires, but for the consumer, the level playing field goes down. The drivers lose, the public lose, the billionaires and the millionaires win. That's how this city has decided to apportion the benefits of new technology." Amid the debate in council, there was an appeal from another American ride-hailing company, Lyft. Its representative, Michael Masserman, wrote that council should look to the 30 states south of the border that have developed regulations that are friendly to new entrants to the ground transportation industry. Masserman emailed councillors Monday saying Lyft had no "immediate plans" to come to Toronto, but did advise the city on regulation. He said any rules should recognize "the unique part-time nature of the ride-sharing industry," he said. "In fact, 80 per cent of Lyft drivers are only doing this 10-15 hours a week, which means that burdensome requirements would impede the ability of ride-sharing, and the benefits associated with it, to be successful in Toronto."